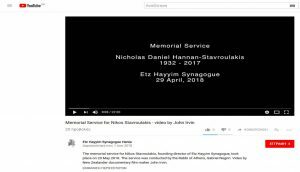 The video of the Memorial Service for Nikos Stavroulakis, which took place on 29 April 2018, is now available online here … click on the link. We thank New Zealander documentary film maker John Irvin very much for making and providing this video to us.  The speeches given by Marianna Vinther, President of the Board of Trustees of the Not-for-Profit Corporation Etz Hayyim, and Rabbi Gabriel Negrin will be provided shortly as transcription and translation into English respectively. We would also like to remind you that the most recent edition of the Etz Hayyim Interfaith Calendar was published in memory of Nikos, see info here.